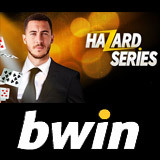 Bwin Poker and famous football star Eden Hazard have joined forces to give poker players an excellent opportunity to donate to charity. 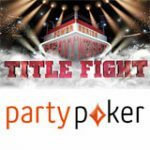 Play the weekly freeroll and you could be playing the featured SNG table at the PartyPoker Millions in Nottingham, UK. The first place prize for the weekly freeoll tournament is valued at £6,000 and includes tournament entry and exclusive branded merchandise. 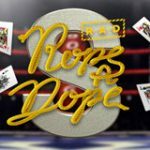 Bwin will donate €1 to One Drop charity organization for every player that registers for the weekly freeroll tournament. Finish in first place in the freeroll and you will join Eden Hazard on the SNG table at the PartyPoker Millions Nottingham. 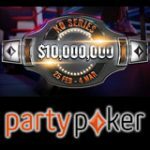 Players can also win a £6,000 prize package by playing the satellite tournaments which guarantee more entries to the PartyPoker Millions UK. The satellites feed to the final tournament which takes place bi-weekly. 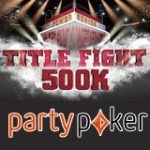 Skip the freeroll and play satellite tournaments for a greater chance of being on Eden Hazard team at the PartyPoker Millions. 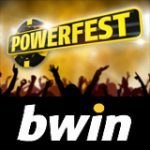 You'll also be donating to charity by playing the satellites as Bwin will donate €1 for every player entering the daily satellites. 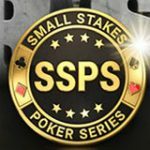 Prizes: 15 seats guaranteed to the Hazard Series Satellite. Prize: 1 package guaranteed for every £6,000 in the prize pool.